Established in 1865 Olathe Cemetery is the city’s oldest public cemetery. It represents early exploration, settlement, and development in Olathe and reflects important aspects of this city’s history. 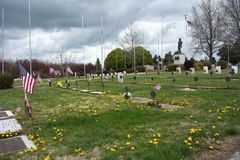 Olathe Cemetery is also the final resting place for many of the town’s early settlers and local civic and economic leaders. In 1937 the Works Progress Administration (WPA) improved the cemetery by adding stone entryways and a shelter house; only the shelter house remains today. By 1956 the cemetery’s boundary was set. 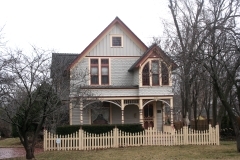 The Walker House was one of two speculative Shirtwaist-style houses constructed around 1910 in Merriam’s 40-acre R.W. Hocker Subdivision. Richard Weaver (R.W.) 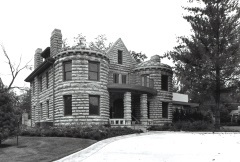 Hocker was a prominent local banker and developer in the Kansas City area. He platted his eight five-acre lot subdivision concurrently with his development of the Hocker Interurban Line. Begun in 1904 this trolley line eventually connected downtown Kansas City, Missouri, with Merriam and points west; it was discontinued in 1927. 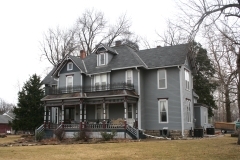 The house’s parcel now only includes a portion of Lot K due to later residential development. 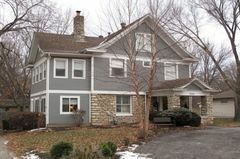 The Walker House is significant for its association with early suburban development associated with the Kansas City regional streetcar lines and for its architecture as a suburban example of the Shirtwaist style. 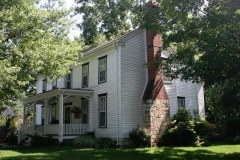 Shawnee Mission was one of many established as a manual training school attended by boys and girls from Shawnee, Delaware, and other Indian nations from 1839 to 1862. At the height of its activity, Shawnee Mission was an establishment of 2,000 acres with 16 buildings, including three large brick structures, which still stand. 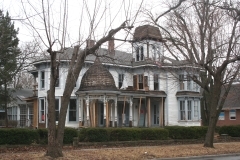 The school was abandoned in 1864 and for the next sixty years the building served variously as Union Army barracks, a dance hall, dairy bottling plant, apartments, and a boarding house. In 1927, the state bought the three remaining buildings and began restoration work and landscaping on the 12-acre grounds. 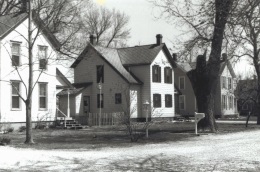 The property was nominated to the National Register in 1968.